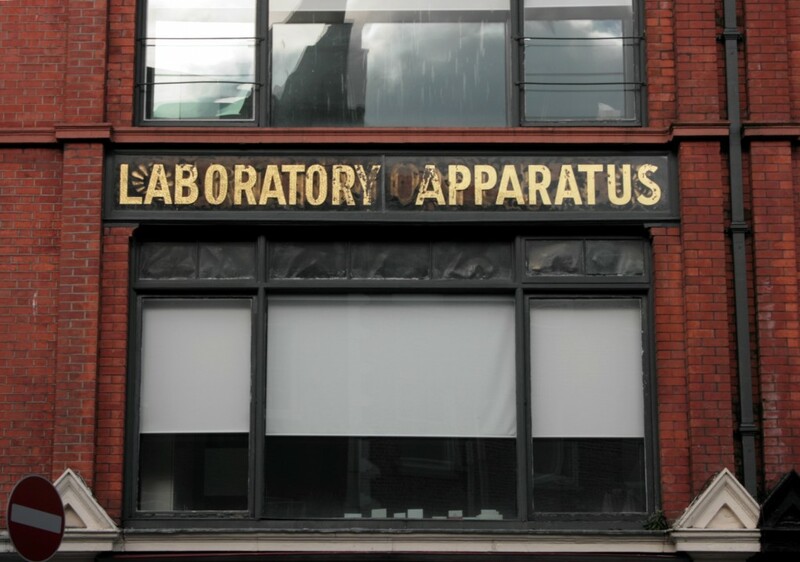 Among Dublin’s many wonderful ghost signs, the ones from the former Lennox Chemicals premises on South Leinster Street might be my favourite. 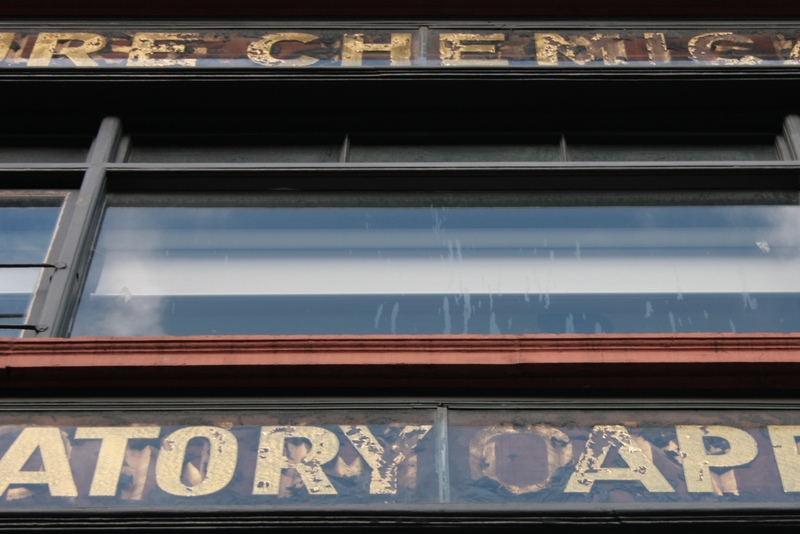 There’s a simplicity to the words that fits the bold gilded letters very well, advertising the company’s wares – PURE CHEMICALS. LABORATORY APPARATUS. – and it’s striking how effective that is, compared to shopfronts packing ten thousand things onto their limited bit of street frontage. 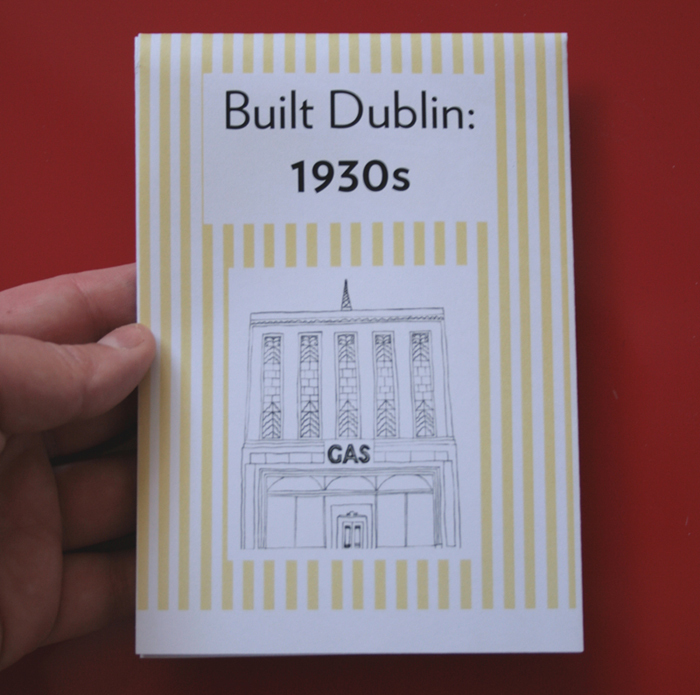 As it happens, you can still get your chemicals and laboratory apparatus from Lennox Laboratories, though they moved to their present location on the Naas Road in 1987. 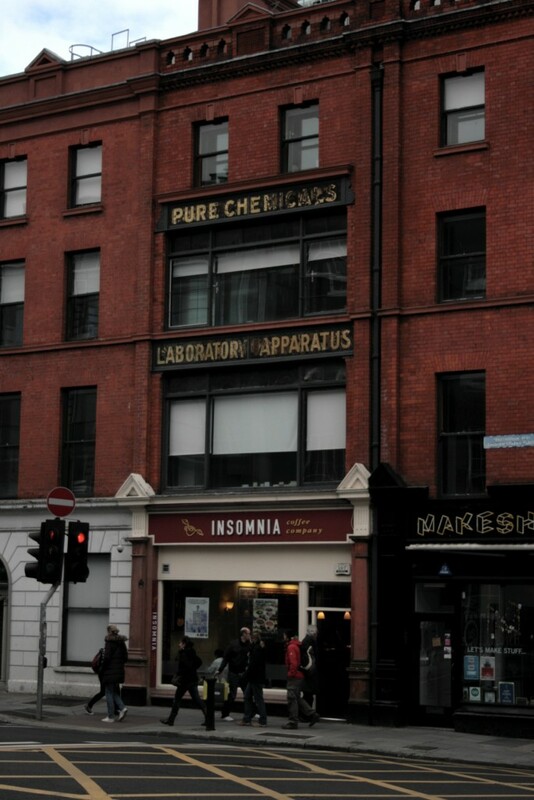 South Leinster Street was Lennox Chemicals’ second location, moving here in 1937 from their previous home in Great Strand Street, where the company started in 1923. 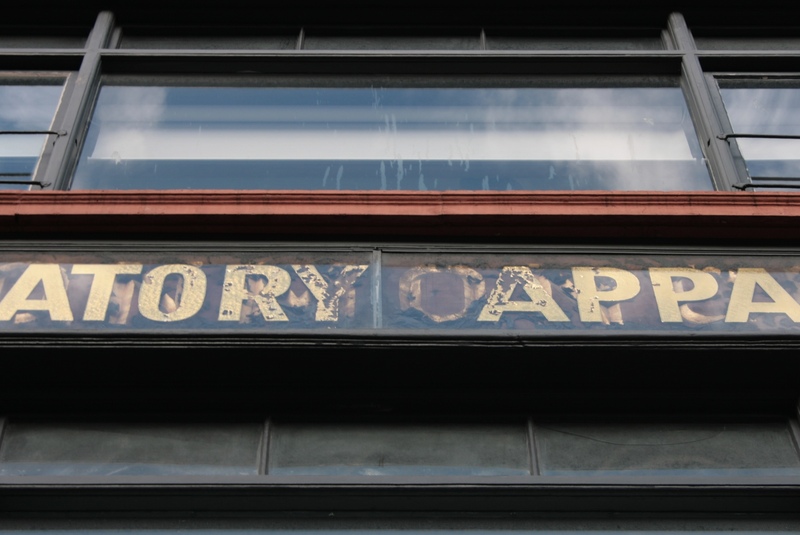 Like the Hugh Jordan ghost sign, it’s very exciting to me to find out that something that looks like part of the city’s trade history is also part of the present. 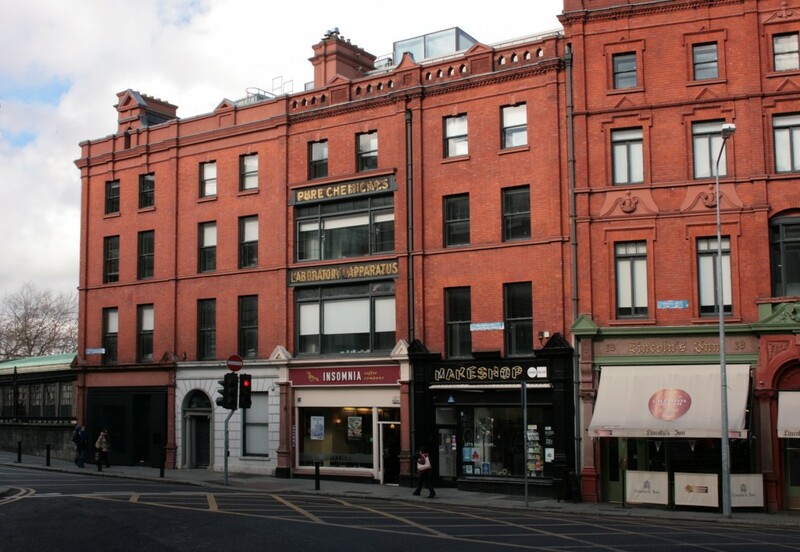 Along with the nearby Finn’s Hotel ghost sign, this sign has been preserved in McCullough Mulvin’s project for Dublin Dental Hospital, which transformed these five existing (and protected) buildings in an impeccable combination of the existing fabric and contemporary additions. The project is one of Dublin’s best additions in recent years and merits its own post, but it’s even better to think of this sign in that context. The lettering looks like gilt on glass or enamel, with standard letters a little unevenly spaced, like they might as well be labels on old pharmacy storage or office doors – again, simple and straightforward, a bureaucratic steadiness rather than flashy advertising, even in gilt. There’s definitely an indication of earlier lettering on the two signs, and the Dublin City Public Libraries image from the 1970s has the same signage as the present boards, so I’m none the wiser. All the more excuse to stand beneath and have a stare, trying to figure it out.